Dr. Uzma strives for excellence when it comes to her dental work, and she enjoys the challenges that come along the way. Her profession gives her the ability to make people comfortable with their dental experience. Patients become a part of her life, and she builds positive relationships with them by giving them the best dental treatment possible. Dr. Uzma appreciates the uniqueness of each person she meets and their needs keep her work exciting and gratifying. The satisfaction and connections she derives from helping people are her true rewards. As Dr. Uzma is dedicated to her patients, so is her team. It is made up of energetic, warm, and welcoming to people who have exceptional communication skills. Dr. Uzma and her team believe that the patient must come first; they treat each one with the respect he or she deserves. Dr. Uzma obtained her Bachelor of Dental Surgery at FIDC University of Karachi in 2000. Her residency took place at the same school until 2001. She then went to the Altamash Centre of Oral Care, and finally received her Doctorate of Dental Surgery from the University of Toronto Faculty of Dentistry in 2009. 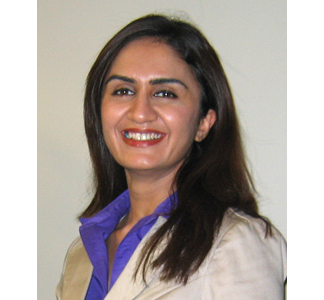 Dr. Uzma also works as an associate at Mississauga and Kitchener. Dr. Uzma believes that continuing education is imperative to her profession. She has participated in continuing education at the University of Toronto, IDEA (Interdisciplinary Dental Education Academy) in San Francisco, and the Academy of General Dentistry continuing dental education courses. She chooses to participate in continuing education to be up-to-date in the latest research and materials, and provide the best possible dental treatment to her patients. A native of Pakistan, Dr. Uzma has lived in Mississauga for the past nine years. She is happily married and enjoys reading, travelling, and movies, and is passionate about spirituality. Dr. Uzma believes that being active in the community is a great way to pay back the community after it has given her so much.